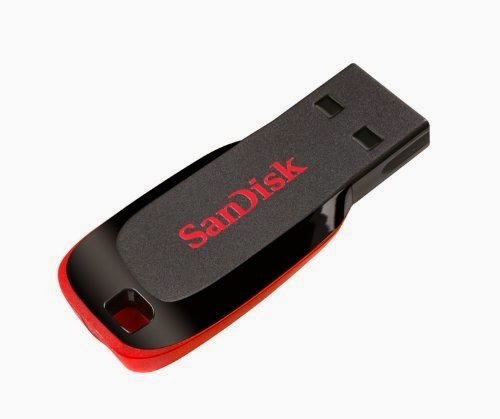 Buy Sandisk 16 GB Pendrive in just 354 Rs Online. I always looking for the cheapest deals, so that i can give My readers the best deals and save their hard money. This time, I am going to share you another awesome offer of Sandisk 16 GB pendrive in around 350 Rs, mostly at this price range you will get 8 GB pendrive. The MRP Price of the Pendrive is 764 Rs and other sellers and Sites selling it more than 450 Rs. So, it's a big Loot Deal for online Pendrive seekers for buy. How to Get 16 GB Sandisk pendrive in 354 Rs Online? This product has a Free Delivery option plus you can order this on Cash on Delivery too. If you are looking for a Much high speed transfer data in the same storage capacity of 16 GB. Check out HP USB 3.0 in the Lowest Price Online with Free Delivery and COD option. For more Daily Offers and Free Coupons. Stay connected with All India Coupons.